Each year, around 3,500 babies – or 1 in 200 of all those born in England – have some kind of heart defect. Babies born with serious heart problems known as critical congenital heart disease (CCHD) are at significant risk of disability or even death if they are not diagnosed soon after birth. Research has shown that a simple screening test – pulse oximetry – can help detect CCHD in babies before they show signs of problems. This means they can be referred early for assessment and, in some cases, life-saving surgery. The screening test uses a light sensor to assess the level of oxygen in a baby’s blood. It is quick, painless and completely safe. 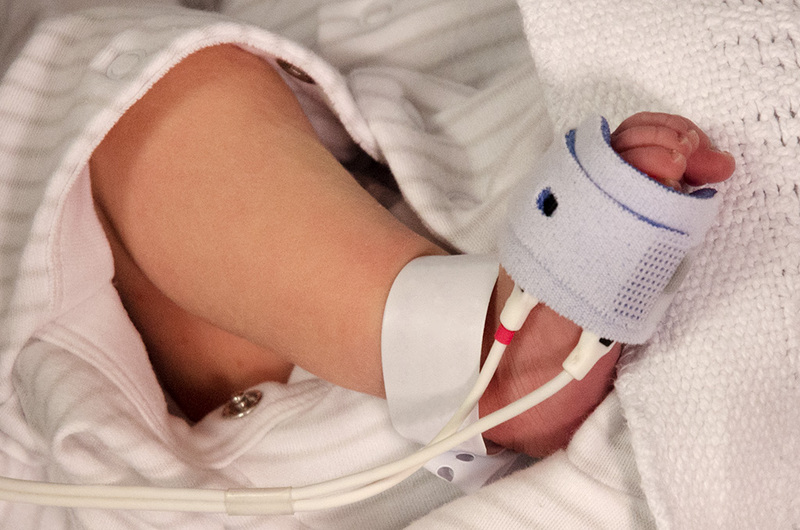 Although newborn pulse oximetry screening is not yet available to all babies in England, the Newborn and Infant Physical Examination (NIPE) programme is currently piloting the test in 15 trusts across England. 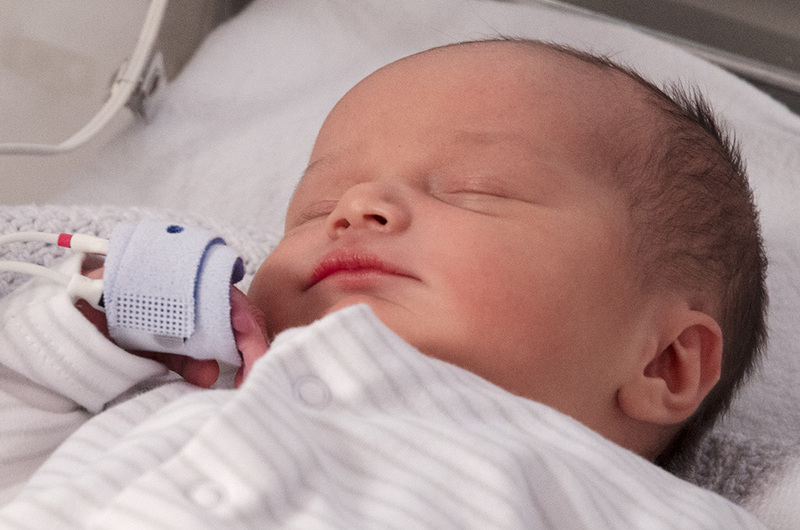 find out if it is feasible to roll out pulse oximetry nationally as an addition to the existing newborn and infant physical examination. During the pilot, we will offer pulse oximetry screening to an estimated 38,000 newborn babies. This is likely to identify around 300 babies with heart problems. The NIPE team has worked with the 15 pilot site trusts who have now either aligned their existing pulse oximetry screening pathway with the nationally developed pathway (7 trusts) or have introduced pulse oximetry as a new screening test (8 trusts). Community midwives, paediatric medical staff, maternity support workers and other health care professionals in pilot areas have received on-site training in using the national screening pathway and pulse oximeters. The NIPE team has also developed a range of training and support materials for health professionals to use locally. These include an education and training film and a clinical management toolkit. The team has also developed an information leaflet to give to parents during the antenatal period and fliers about the pilot will be available in antenatal clinics. Data from almost all the pilot trusts will feed into the NIPE SMART IT system. And we will analyse this data as part of the pilot evaluation. The UK National Screening Committee will decide about a possible national roll out when the pilot reports, in spring 2016. More information about the newborn pulse oximetry screening pilot can be found on GOV.UK.